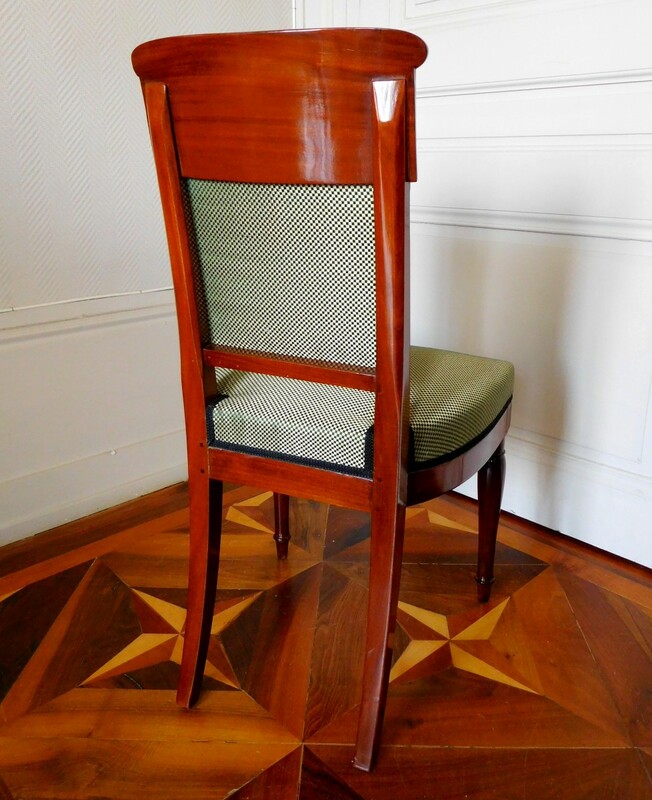 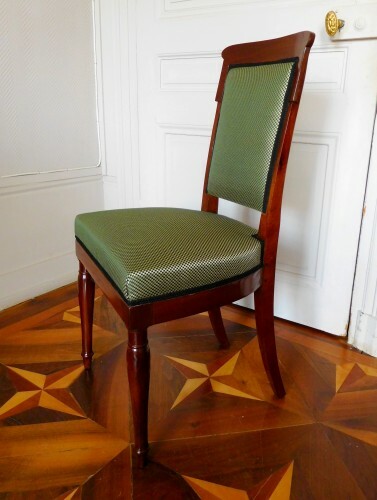 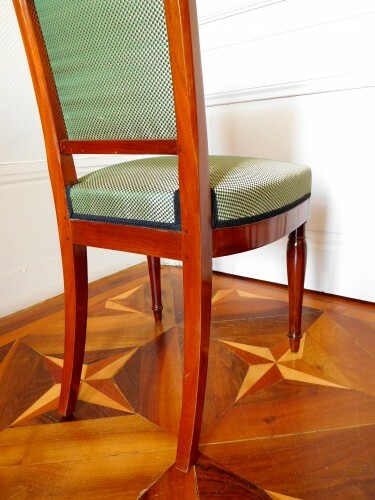 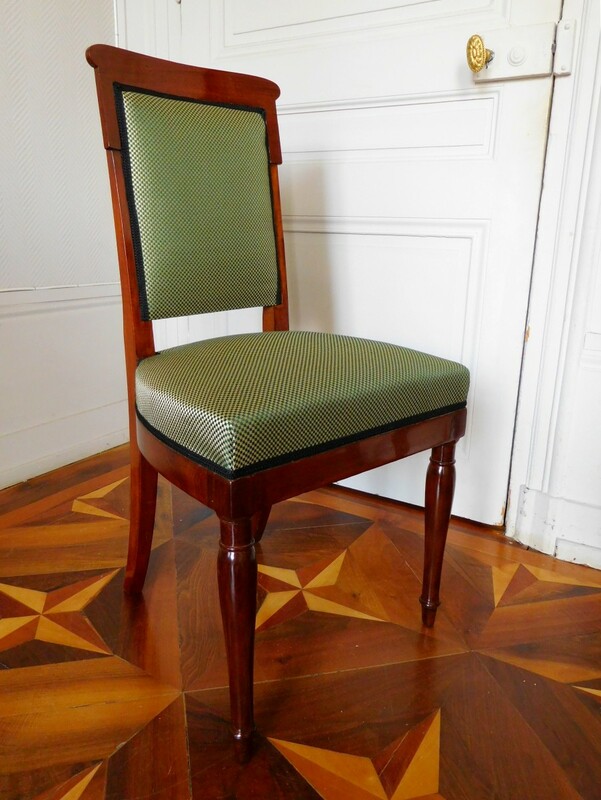 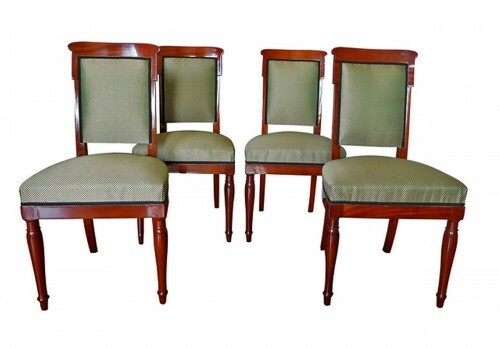 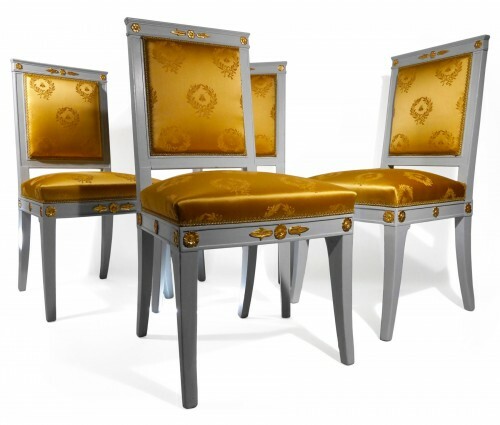 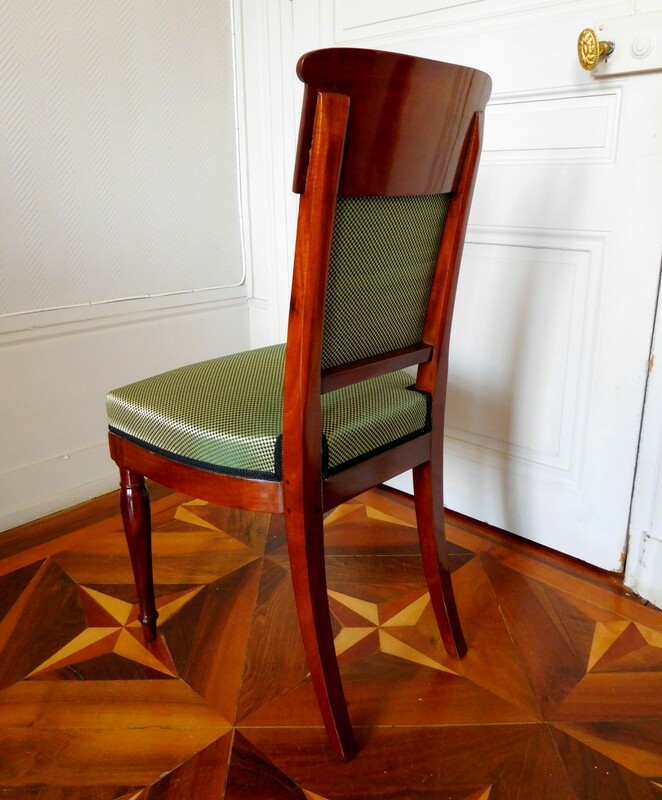 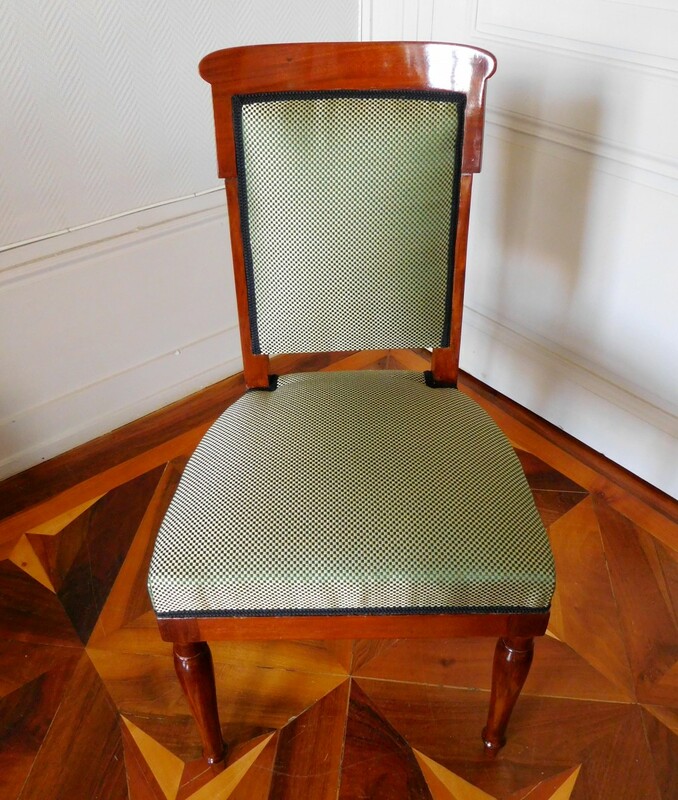 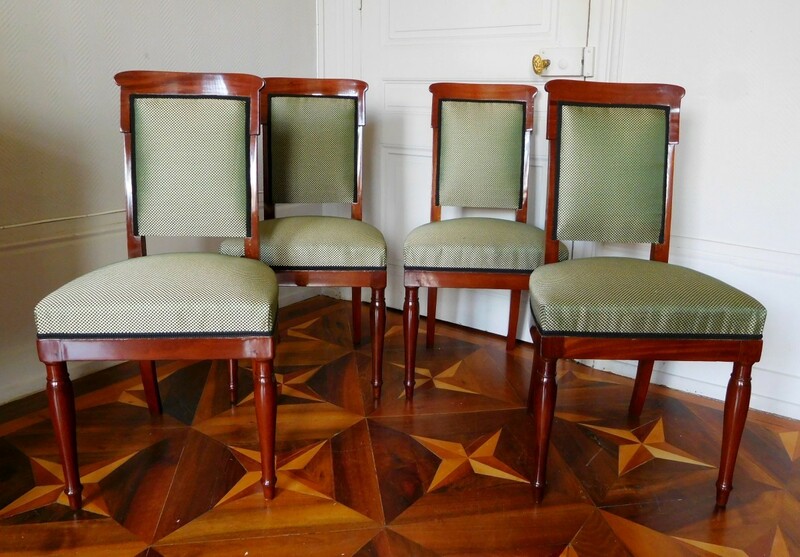 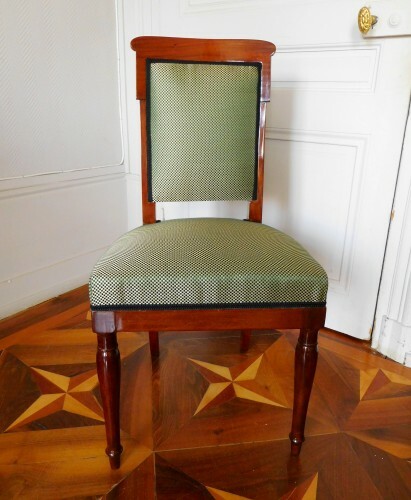 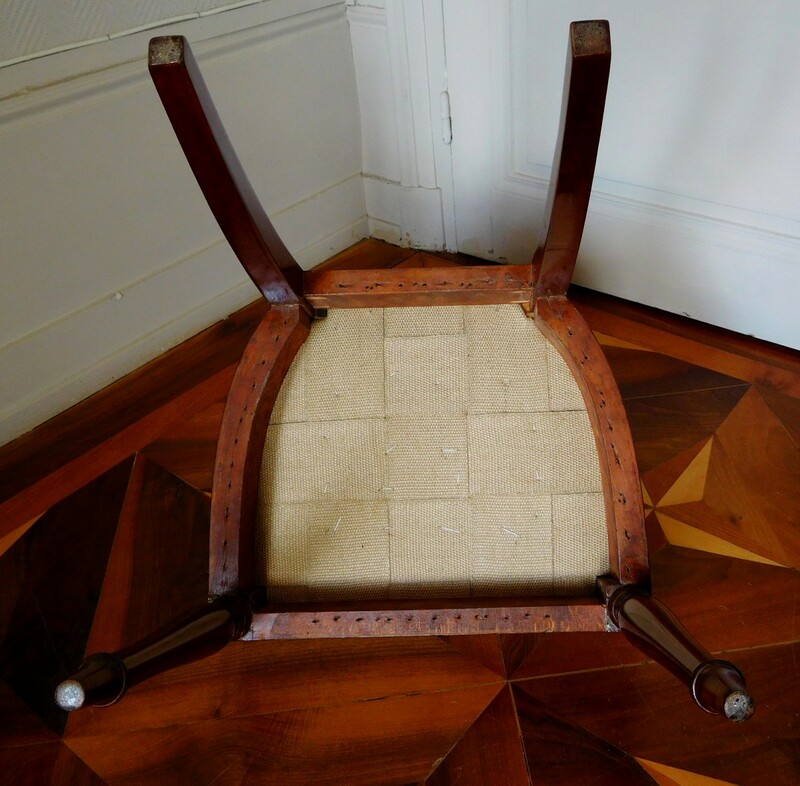 Rare set of 4 mahogany chairs, end of French Consulate period / early Empire. 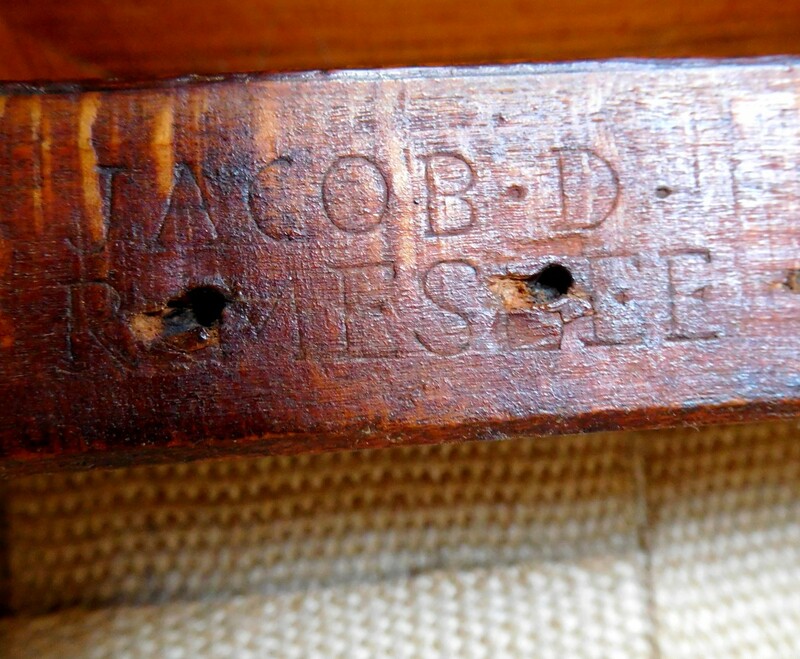 All the pieces are stamped Jacob D R Meslée (stamp used between 1803 and 1813). 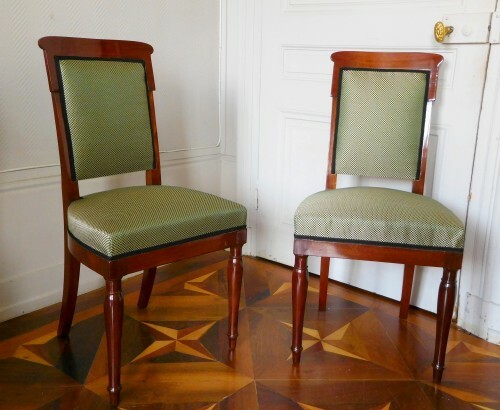 Rare shape : they looks like they were designed in the 1920's ; they were manufactured 100 years earlier actually. 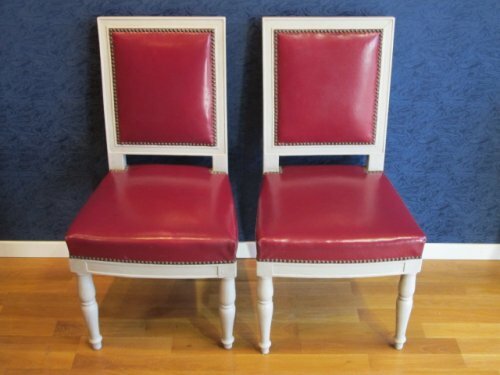 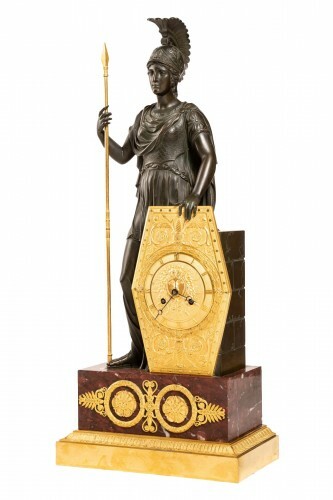 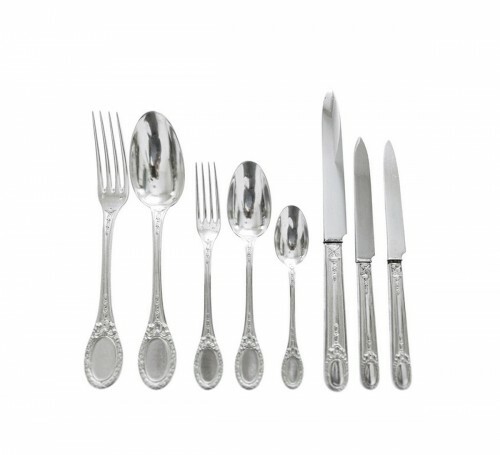 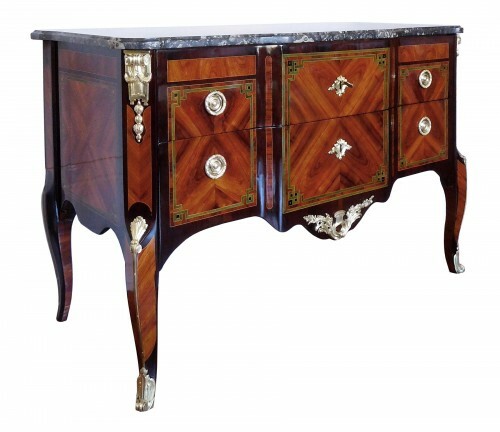 Excellent condition, completely restored as new with the highest standards. 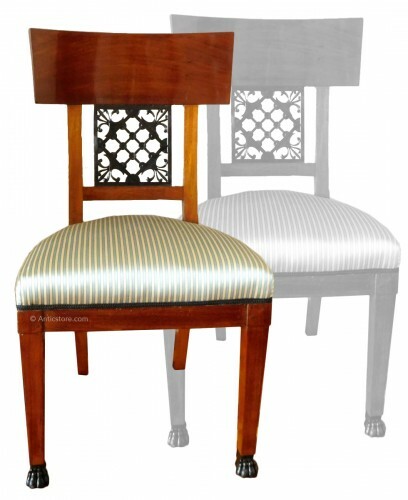 Tassinari and Chatel silk (da Vinci fabric). 4 chairs available, but we can sell them by pair.